This timeless crème caramel recipe from the Galvin brothers is simplicity at its best, albeit with some fine touches to bring the dish to life. 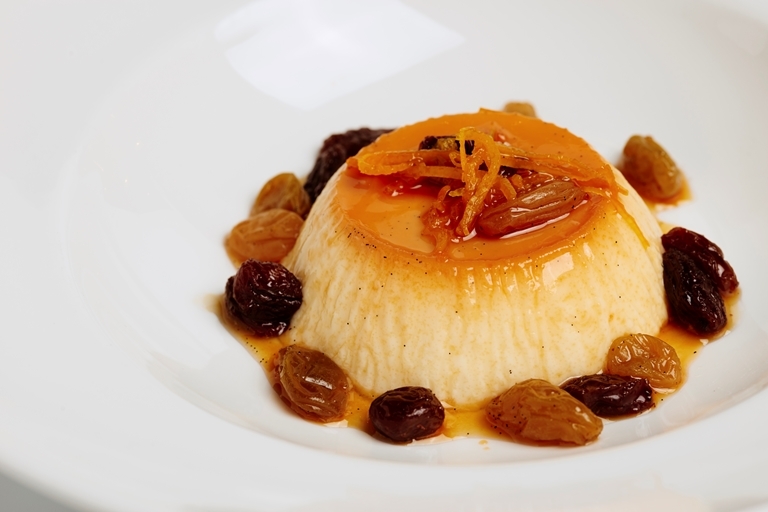 The dessert is paired with some candied orange zest and raisins infused in a sugar syrup until plump and sweet. An altogether classic dessert.